While Snapchat Spectacles were not a raging success, they sure managed to catch everyone’s eye in 2016. And despite the lukewarm reception, Snapchat has launched a new iteration of its Spectacles today, fixing most of its annoyances and adding new features. The 2nd-gen device is still a wearable camera but now it’s lighter, waterproof, and a tad bit more functional than its predecessor, which was only picked up by close to 220,000 people. The company had high hopes from its wearable but ultimately, had to write off $40 million from its earnings report. You can get it right away in the US, UK, Canada, and France, and from May 3 in The Netherlands, Norway, Denmark, Belgium, Finland, Poland, Spain, Italy, and Ireland. The new features mean the 2nd-gen Spectacles is also more pricey at $149.99, which is $20 more than the first model. Spectacles 2 will be available in 3 colors, black, red and blue on Spectacles.com. You also have a choice between the type of lenses, eclipse and moonlight. But there’s a lot more new than price and colours. The new Spectacles are not much different from the first one. The design and aesthetics are pretty much the same – you still have a circle of lights around the camera lens – but the overall frame is slimmer. The material used is the same, but the finish is supposedly much better time around. The internals are now packed in a smaller compartment, and the profile has been trimmed to make it more pocket-friendly. It still has a sizeable battery and enough memory to help you record close to 70 videos over a week on a single charge. Even the bright yellow charging case is smaller by a third than the original, which is certainly a great addition. It will allow you to easily carry the Spectacles in the pocket of your pants or jacket, without adding much weight to it. The original Spectacles allowed you to record and post only circular videos by tapping the small button on the left. but you couldn’t capture photos. This changes with the new model. A single tap records 10-second videos, three consecutive taps create 20-30 second videos, while a press and hold takes a photo. The highlight is that it records in HD by default now. 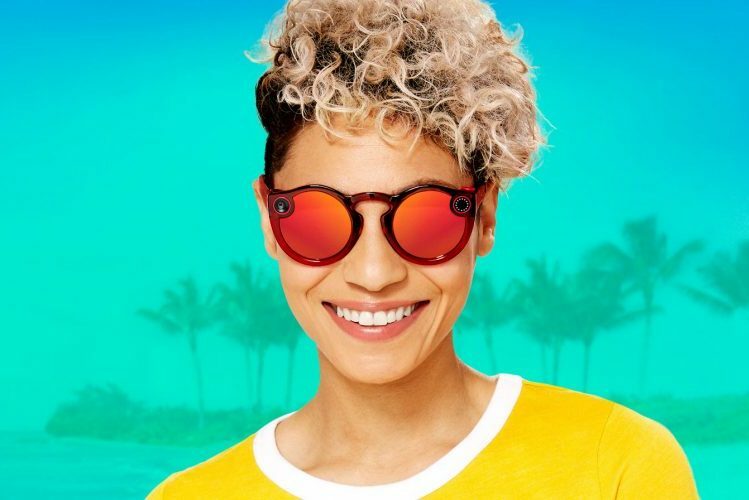 Snap has even included an extra microphone on the Spectacles to reduce wind noise and capture conversation more clearly. The secondary mic will work to reduce noise and improve voice recording. 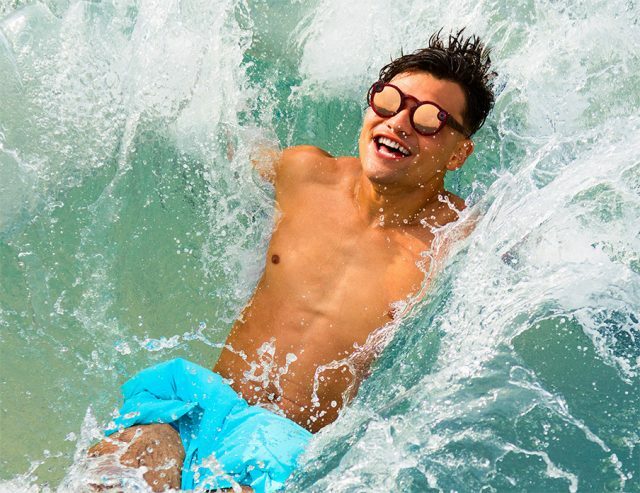 The new Spectacles are water resistant at shallow depths, which means they are safe to carry for your surf session or pool parties. Even the charging case is water resistant. One of the major struggles with the first Spectacles was that it took forever to download videos. You had to connect the device to the Spectacles’ Wi-Fi network, wait many minutes to save videos to your Memories, before posting them to Story. 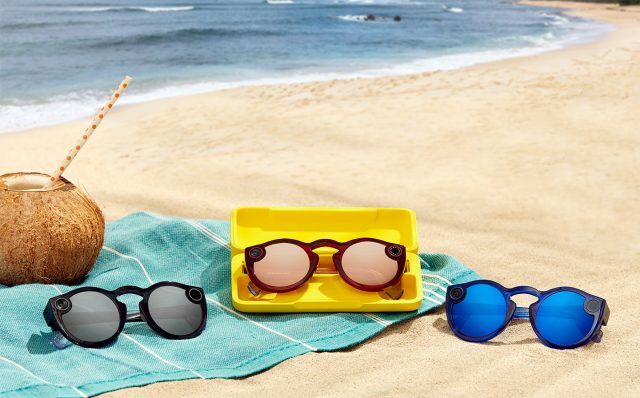 Snap says that it had improved the process and the 2nd-gen Spectacles offer three to four times faster downloads but the process remains the same.